Ms. Campbell initially practiced law in Montgomery, Alabama for approximately six years with a concentration in Family Law, Probate, Collection, and Personal Injury cases. In 1997, Ms. Campbell moved to Chattanooga, Tennessee where she lived and practiced law for fifteen years. 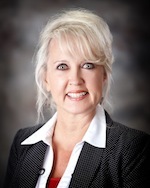 While living in Tennessee she assisted in handling Personal Injury, Collection, Probate, and Criminal cases. Ms. Campbell has returned to Montgomery, Alabama and is practicing law with a concentration in Probate, Contract, Collection, Family Law and Personal Injury cases.